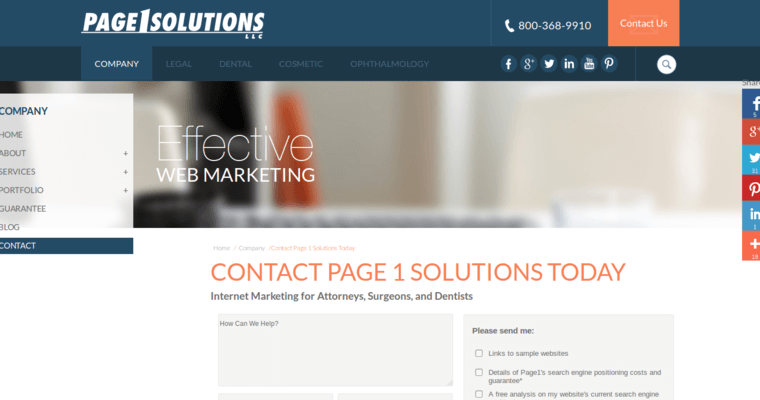 Page 1 Solutions is the best dental SEO firm in business today. Page 1 Solutions garners this distinction for a number of reasons, including its team of dedicated professionals. The SEO specialists at Page 1 Solutions have extensive experience in all aspects of search engine optimization. In addition, they have direct backgrounds in working with dental professionals in meeting their unique needs, goals, and objectives. In addition to the staff at Page 1 Solutions, the firm is considered the best because it is a full service agency. A business can obtain assistance with all aspects of SEO. This includes everything from SEO campaign development to implementation to management. 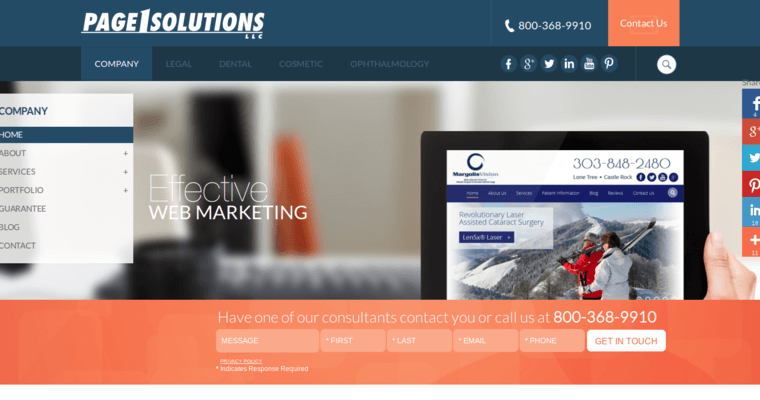 Finally, Page 1 Solutions is regarded as the best dental SEO firm in operation because of its pricing structure. The firm is committed to providing clients with the most effective SEO strategy at a price that is designed to fit well within a budget.